These Capacitors feature the use of a specially designed Metallised polypropylene film as the dielectric to ensure a high working life with very low losses. SEPC series are self healing Capacitors, where the Electrode layer which is a special metal alloy is vacuum deposited on to the Polypropylene film dielectric as well as given a special profile which enables superior performance in terms of withstanding overloads and very high peak currents. 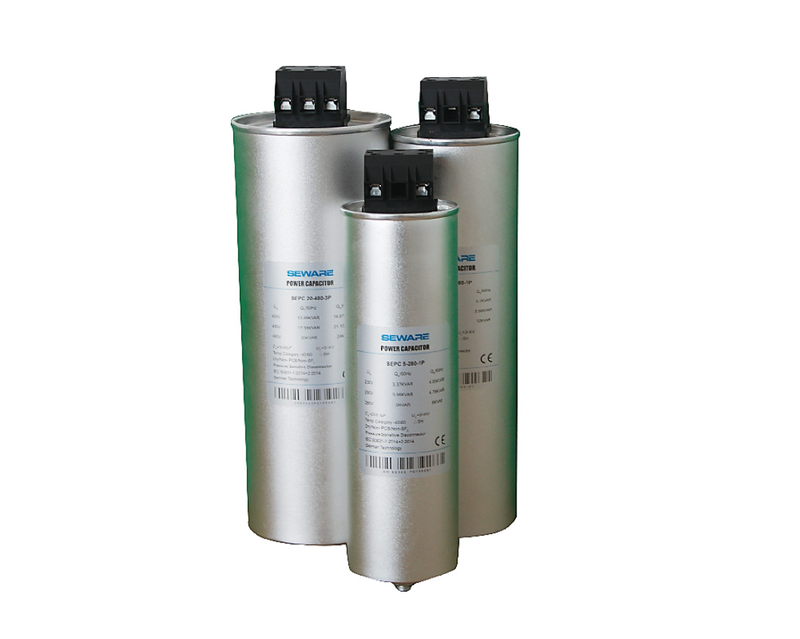 The Capacitor elements are processed under a special high vacuum process which involves the removal of moisture and any other gasses followed by vacuum impregnation of the capacitor by a special gas which is non PBC and non SF6 type.